For most promising Christian artists, taking music into the secular realm is met with judgement and suspicion by others in the Gospel music community. There’s little doubt Mali Music faced some opposing views or advice going into little-ventured territory with his gifts. He’s had a couple of favorable releases in previous years as a standard gospel artist with a neo-soul flavor. I became aware of him when he was featured as a BET Music Matters artist on the BET Awards show a few years ago. His delivery and unique vocal abilities had me excited for the new generation of Gospel singers. And I, along with many other music fans, anxiously awaited his next album. When he teased the world with “Beautiful” earlier this year, it quickly became a hit, but it did not have the heavy gospel message many may have expected him to publish. 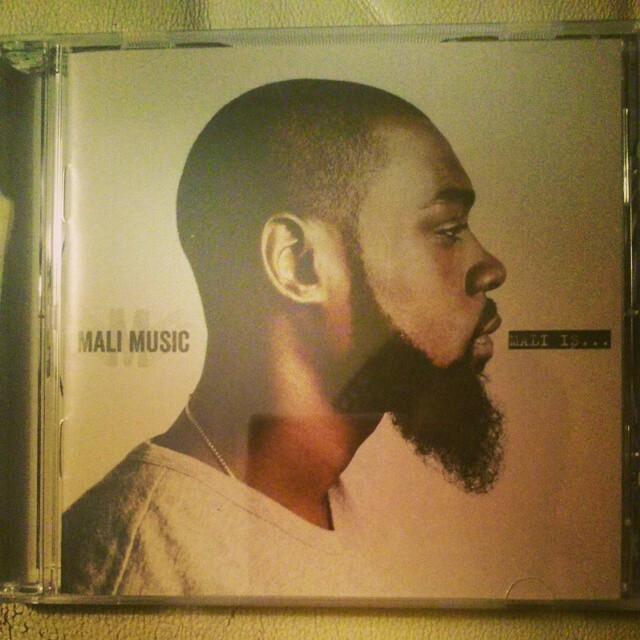 So Mali Music may have had some doubters and haters along the way with his newest album, but his faith is paying off handsomely. Mali Is is receiving many accolades and praise while currently holding a top spot in its debut week. “No Fun Alone” is a good first track to introduce his latest offering. He describes his life as an artist, reconciling his humanity and vulnerabilities in the spotlight of fame. “Ready Aim” and “Fight For You” are bangers displaying Mali’s hip-hop skills. To me I hear such an undercurrent of Holy-Spirit-influenced musicality using a format that grabs the ears of any music lover, regardless of spiritual persuasion. His music just brims with a fresh way of expressing a new life in Christ without the boundaries of conventional expression. “Walking Shoes” is a clear nod to old school sounds of the 1950s and 60s, beckoning us all to move forward against the currents armed with the truth of Psalm 119. “Little Lady” samples the phenomenal Nina Simone while serenading the stories of girls we see everyday in need of real love and the reassurance that men of integrity still exist. “Johnny & Donna” tells the story of a young couple and the complications of love, family, and life and demonstrates Mali’s range and masterful vocal manipulation. In the last track “I Believe” there’s a clear declaration of his faith and hearkens back to the old days of believers who unabashedly shared their belief in song. I believe is a theme that runs throughout the whole album. It’s clear Mali has not departed faith-based music as much as redefined and expanded it while challenging his contemporaries and those aspiring gospel artists to carve out a niche that’s not bound by invisible dos and don’ts. This young believer has thrown down the gauntlet and speaks to a lost generation where turning up and twerking is the preferred and expected everyday social norm. I picked my copy up at Best Buy for less than $8 (regularly about $10). Of course digital copies are available on iTunes and amazon.com, but for this one I had to get my hands on a physical copy for safekeeping at home and on my computer. 🙂 Mali Is was certainly worth the wait.